(c) the present implementation status of the scheme along with the approximate number of persons benefited under the scheme, State-wise? 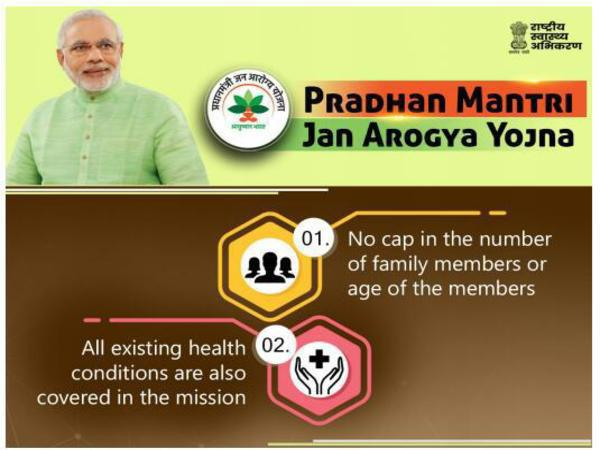 (a) (b) & (c) As on 16.12.2018, the total number of hospital admissions under Pradhan Mantri Jan Arogya Yojana (PMJAY) are 5,52,649. The number of claims made after discharge of beneficiaries are 4,21,474 and claims amount submitted is for Rs.548.11 crore as on 16.12.2018. The desired information is annexed. The states of Odisha, Telangana and UT of Delhi have not yet signed MoU for implementation of PMJAY. States of Meghalaya, Andhra Pradesh, Rajasthan, Punjab and Kerala have signed MoU for implementation of PMJAY, however have not launched PMJAY in their States as on 16.12.2018.